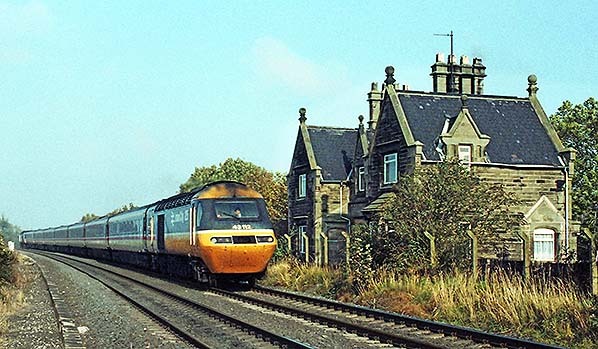 In October 1988 the 10.40 Edinburgh – London Kings Cross is operated by a Class 43 Inter-City 125. It is speeding through the disused station at Christon Bank, whose splendid building is seen on the right. In the late twentieth century ‘barn conversions’ became a fashionable type of housing. 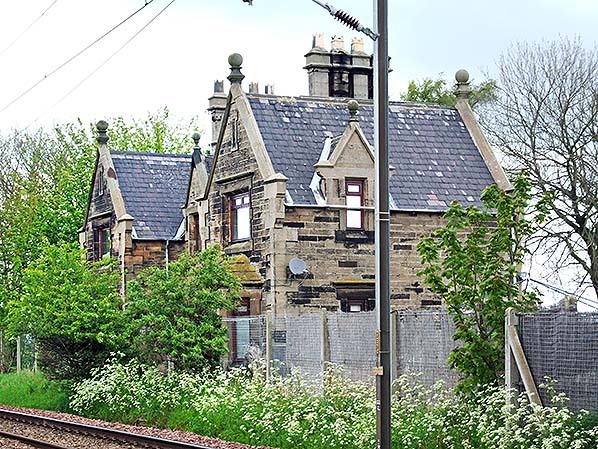 ‘Goods shed conversions’ for residential use are uncommon, but this dignified building at Christon Bank station with its almost ecclesiastical Gothic arch (through which a goods siding used to pass) has been given a new lease of life. 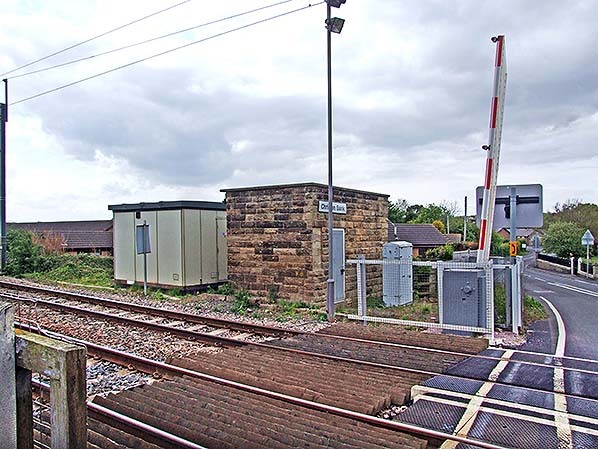 The former station building in the background is also refurbished and in residential use. 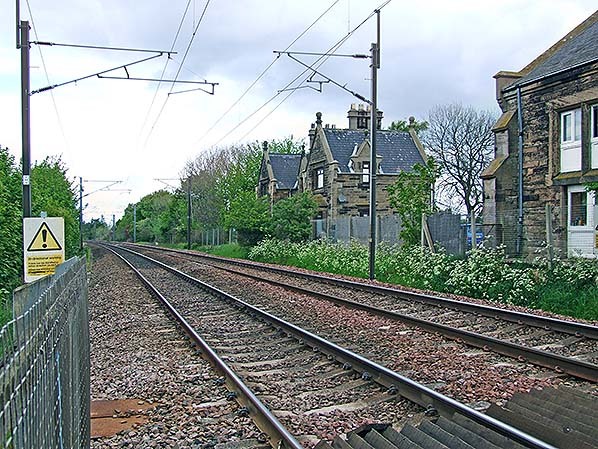 The photo was taken from the level crossing in February 2001. 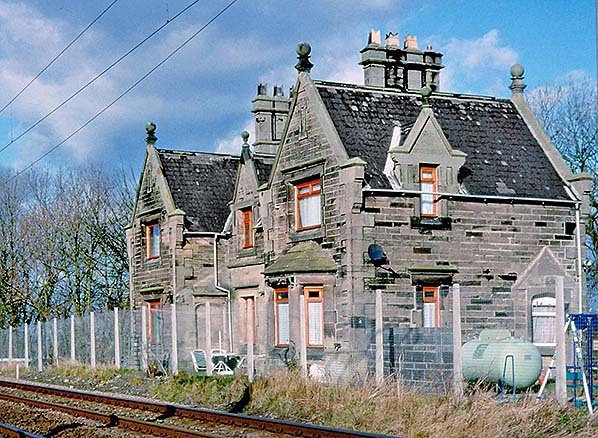 The former station building at Christon Bank is seen in February 2001, looking north-east across the East Coast main line. 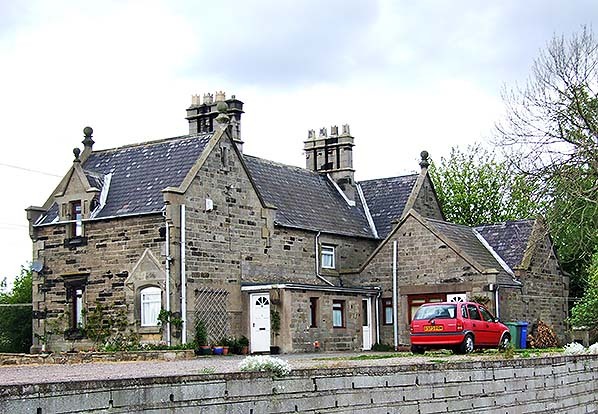 The fine sandstone building is in residential use. It is a shame that when the windows were altered sometime between 1988 and 2001, the opportunity was not taken to restore the mullions which had been removed in a previous refurbishment in the 1970s. 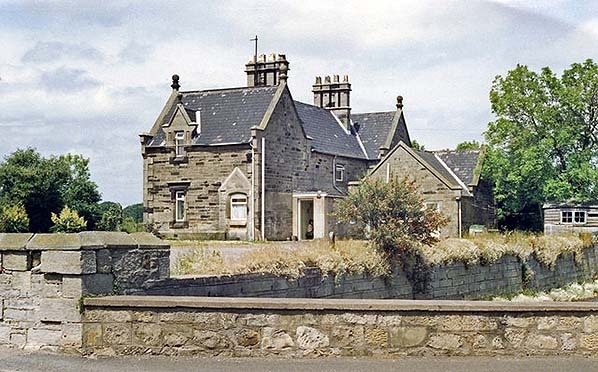 The eastern façade of the former station building at Christon Bank is seen in May 2009. The window nearest the camera occupies the site of a former entrance and porch; the outline of the porch can be identified by the infill of masonry. 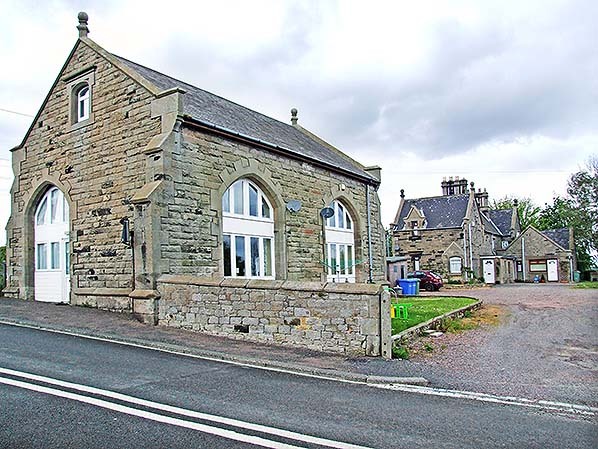 The former station building at Christon Bank, looking north-east in May 2009. 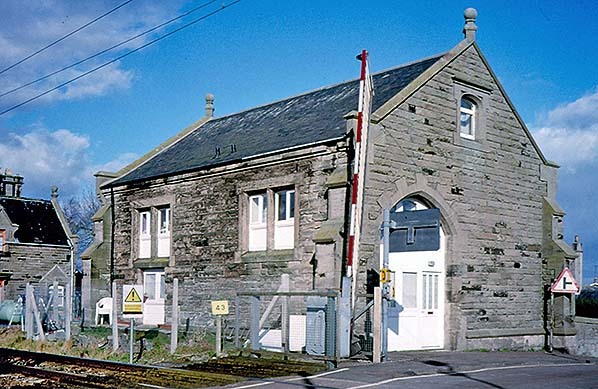 The signal box at Christon Bank was in use for about a century, closing in 1974. Its stone base has been retained as a relay room. This view, looking south, shows the remains of the box and a modern Corporate Identity nameplate.